The budget for forest and environment accounts to just 1.26 percent of the total budget of Rs 1.315 trillion announced for the fiscal year 2018/019. 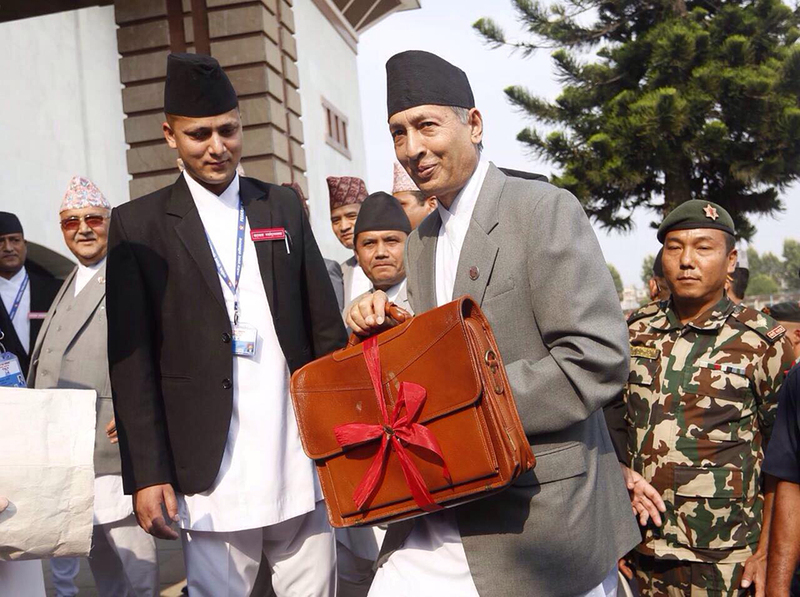 Finance Minister Yuba Raj Khatiwada presented the fiscal budget at the federal parliament amid a function on Tuesday. The government has given priority to forestation, biodiversity conservation, climate change mitigation, water source conservation, pollution control, and strengthening partnership with local units, community forest user groups, private sector cooperatives and non-governmental organizations to achieve the objectives. While unveiling the budget, Minister Khatiwada announced to make forest management scientific, prioritize utilization and conservation of forests, make President Chure Conservation Program more effective, establish industry for herbs and forest products, and organize suitable programs on climate change mitigation. Likewise, he also made announcement for conservation of Himalayas that are the source of fresh water. “Special attention will be given to cleanliness of mountain peaks including Mount Everest and surrounding areas,” declared the minister. According to him, the government will take initiative to control noise, dust and air pollutions as well as waste management. The government also pledged to use the allocated budget for expanding air quality monitoring stations in major cities and enhancing environment test and monitoring. Similarly, the government has declared that the fiscal year 2018/019 will be celebrated as 'National Sanitation Year' in order to secure the citizens' access to basic sanitation. It has targeted to make the whole nation Open Defecation Free (ODF) zone by ensuring toilet for each household of the country and establishing well-facilitated 'smart toilets' in public areas. In a major announcement, Minister Khatiwada declared to celebrate the years 2018-2028 as 'Energy Decade' in an effort to ensure accessibility of adequate and modern energy to each household. Under the plan, all types of sustainable energy sources would be developed and expanded. For instance, in the upcoming fiscal year, a grant of Rs 25,000 would be provided to underprivileged households in the tarai and hilly regions to establish biogas plants, for which the budget of Rs 500 million has been allocated. Furthermore, all local units would be provided grant for producing sustainable energy from wind, sunlight and garbage. Such programs related to energy are covered by the budget under 'Energy Development' section, for which Rs 83.9 billion has been allocated. Most of the plans on environment, forest and sustainable energy are repetition of budgets of the previous fiscal years, with just some new addition. More than the budget allocation, the biggest test is on the implementation part, where Nepal has been failing time and again. The failure to achieve most of the environment objectives during the last fiscal year is a living testimony. Nonetheless, there are rooms to be hopeful. 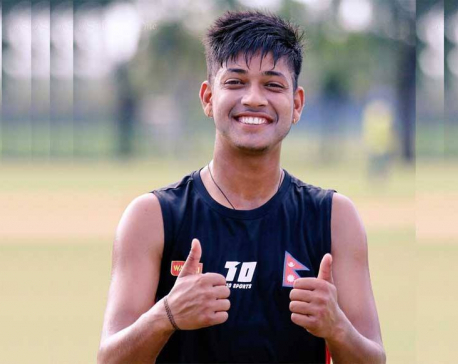 Stating that last year was a transitory period from unitary government to federal republic, environmentalist Bhushan Tuladhar said there are hopes that the new government under KP Sharma Oli would fare better in the implementation front now that the transition phase is over. “Unlike the past governments, the current government can be considered more stable. We can be hopeful of better execution of environment budget due to stability,” he added.